In our previous two articles about filmmaking for photographers (one here and two here) we looked at the technical side of making a film; what happens inside and around the camera. In our third article here we look at making a film. This is where we put our technical knowledge in to practice. Making a film is all about thinking, creativity and planning; very different skills to the technical topics we covered earlier. It’s at this stage where greatness is made. A filmmaker can have wonderful technical expertise but a poor story never interests an audience no matter how good it looks. 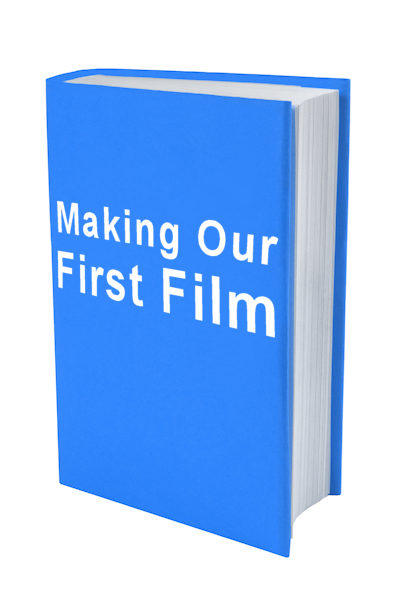 Let’s dive in and take a look at how we can begin to make our own films. Feeling ambitious? Want to make a feature film or a hard-hitting documentary? It is without doubt a good thing to have big ambitions but as we’re just starting out and taking our very first steps in to the filmmaking world, it’s important to be realistic. These first projects are where we learn the craft, where we see what it takes, what works and what doesn’t so starting with a small scale project will make it all much easier to learn the ins and outs. When I took my own tentative steps in to filmmaking I had no desire to make a drama. Perhaps it was my editorial photography roots that influenced my choices but I was very drawn to making documentaries and I still am. Whilst it wouldn’t be impossible to make a drama, it is likely to require a bigger team to put that together whereas a documentary can be made by a self-shooter, that is, one person takes care of all the tasks from researcher, recording sound, director, cameraman and editor. So a self-shoot documentary would be my recommendation at this stage, however if you do want to make a drama, go for it. For the purposes of this article we’ll assume you’re going to make a documentary but what about? There’s a whole world of people out there doing things so there’s no excuse for not coming up with at least an interesting idea but finding a subject is much harder than it sounds. Whilst photography or filmmaking may be a big part of our life, what about our other interests? Chances are we know a lot about these other activities too and importantly we’ll have a passion for them. When we find that all-important idea it helps to be interested in it because it drives our curiosity and provides loads of motivation. What about your friends’ hobbies or perhaps someone or something you’ve encountered in the past? Whatever it is, your film will be more interesting if it catches your imagination. Even short films take a lot of effort to make well so being engrossed in the whole thing will make the process much easier than if it bores you. There’s nothing worse than having to slog through a project to reach the end. It will help our understanding of making a film by watching good examples of the genres we’re interested in. As creatives we often instinctively look at the work of others not only on the level of the viewer but at the creative level, deconstructing the work to understand how it was put together. Doing this as we start our filmmaker’s journey can be a useful technique to aid our understanding of the craft. Seekout great work on the likes of Vimeo for instance. Their StaffPicks feature highlights great examples of the filmmaking craft. If documentatries interest you, see how these tell their story, how they move from the beginning to the end (sometimes called the arc) and how they pick out the important information to inform the viewer. Reflect on your experience, what caught your eye, grabbed your attention, moved you? Why did it do those things to you? It would be easy to watch these and copy the work but really it would be better to let the work of others inspire us to make our own stories. Our only chance to stand out is to explore new paths others have missed. This is where the craft of the filmmaker begins to kick in. We’re getting in to the all-important nitty-gritty detail. After we’ve found our subject, we have to decide what the story’s about and what we want and don’t want to tell the audience. Deciding the theme of the film is a personal choice. What caught our eye about it in the first place? Is that what we want to share with the world or is there more there to explore? Will that be interesting to other people who might not share our passion for it? Sometimes we make a film because we ourselves have to, not because we think other people might like it. It’s difficult to say what makes a good story but we all know one when we see it. Our imagination caught, our emotions tugged, happiness or sadness. There’s certainly no obvious written-formula for capturing this (or at least none that I’m aware of) so we have to press on and rely on our skills as storytellers to capture all of the interest, the emotion, the highs and lows, the good and bad. It’s not possible to go in to a filming stage without knowing what we’re shooting so our shoot list begins with research. That’s where we dig in to our subject-matter to find the relevant facts of our story. This will happen long before any camera is lifted and any record buttons pressed. Expect to talk to your subject, or subjects, a lot to find out as much as you can about them. It’s important that the people in the film trust you as a filmmaker as you’re putting them and their story out there for the world to see. Really that’s a big responsibility. Building that trust may take some time and the filmmaker must respect their subject at all times and with the upmost integrity. As I put the details together, if someone tells me they don’t want something in a film I will respect that. I want my subject to be happy about the finished film, proud even. I believe it’s the filmmaker’s job to tell the best story they can with total respect for the subject. They are after all letting us in to their lives to share their story. If they feel they can’t trust us to do that then it’s going to make things very difficult all round, maybe even impossible. Being a good listener is vital. During this stage we’ll talk about the topic probably in some depth and it’s our job to ask the questions, to listen to the answers and pick out the important bits. It might even be useful to record these conversations to a broadcast-quality as often the story is told with realism, passion and flair that first time. Asking someone to retell that same story for the purposes of recording can reduce that passion noticeably. Any opportunity to capture something ‘genuine’ should be taken; it’s filmmaking gold. Of course not all documentaries can work this way. Investigative stories take a very different approach here so approvals might not be wanted or even possible to obtain. That topic though is for another day. How Do You Want to Tell the Story? The pace and mood of the finished film comes from the clips you film and how the editor puts them together. It’s therefore important to know what these characteristics are before any filming starts. Think about an action movie where there is a fast pace, cutting between lots of short clips. Compare that to a a slow-paced documentary where the scenes are shown for longer setting a different pace entirely. Of course there’s no reason why you can’t tell a fast-paced documentary, it is though important to make sure that when the editing stage is reached, there are enough shots to make it that way. Length too must be factored in here. You might be working to a strict time limit or you might have more freedom but it helps to have an idea for the length you want to make the film. This will tell you how many successful shots you need. I say successful by that I mean there will be some takes that are lacking in some quality or other, perhaps they’re out of focus or a critical part of the shot is missing. So just because you’ve shot something, don’t assume it’s right. Checking footage after the shoot whilst you and your equipment are still on site saves a lot of pain later if the editor finds something is missing. To get an idea of how many clips you’ll need, try watching a documentary made in a similar style to one you’d like to make and see how many shots were used. There's a classic approach to many styles of story telling, in theatre and TV as well as film, called the three-part act. This splits the story in to three (well duh!) parts, a beginning, where the story is set up, the middle where the story plays out and the last act where the story is concluded. Of course this is a very simplistic description but you get the idea. It's been a popular approach for thousands of storytelling years so we know it's a useful tool. You don't have to use it but it's there to at least think about. When you're watching your next piece of drama or documentary, see if you can spot if this technique has been used and how it played out in the story. If you watch a drama there’s an overall storyline, it could be about the life of one particular family for instance but within that story there are many smaller plots that add depth and interest. There’s no reason why a documentary can’t do the same thing. Later in this article we’re going to take a look at a short film I made about a craftsman who makes wooden bowls. The story is about him and his interest in his craft, with depth coming from the making of a bowl from start to finish doubling the interest. Not every story can work in this way but if I can find extra layers to include I will. Now the research is done, we know our story, know how long the film will be and its pace, it’s time to start storyboarding. A storyboard plans the shots from beginning to end, a visual plan of the finished article. If the film is short enough a storyboard isn’t necessary but it’s down to the personal preferences of the filmmaker. Even without that aid the story must at least be planned in your head. It’s at this stage that the story has to be examined to decide what shots are required and what lenses and lights you're likely to use to get the maximum impact for each scene. We also need to ensure any voiceover that refers to specific aspects of the story are included too. "It’s important that the people in the film trust you as a filmmaker" Even a slow-paced documentary needs lots of clips and a classic approach is to film a scene wide, standard and close up so that all-important variety keeps the viewer from getting bored. An editor can never have enough choice when it comes to clips. Having a storyboard helps to identify scenes from different parts of the film that could be filmed at the same time, thus reducing set-up and tear-down times. Remember, your film doesn’t have to be filmed in the order it will be edited together. To be efficient as possible, shoot as many scenes that mean less logistical reorganising. You will have heard about B-roll, these are less-important scenes that provide cut-away opportunities and can cover an editor when they don’t have as much critical footage as required. Don’t waste time shooting B-roll that doesn’t relate to the story. Shoot meaningful quality footage that will always mean something if it’s included. Shoot it like you need it. A little tip here, always film more at the start and end of a scene than you think is necessary. This will help in the edit. A with many things in life, longer is better than shorter. This is the boring task of moving ourselves and our gear around to the location or locations to shoot our scenes. Before planning anything ensure that it’s physically possible to get to the location with the gear and film in safety. Planning a shoot to find it can’t actually be done is somewhat annoying. (‘Somewhat’ might be an understatement). As we mentioned above efficiency is key here to save time and money. Try to identify as many scenes that can be shot without moving and setting up again. Will there be power if needed for lights? Toilets? If there’s no food to buy around the location, don’t forget to take some. Do you need permission to film? Do you need safety equipment like boots, helmet and hi-vis jacket? How about insurance? Don't forget about first-aid too. All of this is very tedious to plan but get there without them and a day may be ruined. Cinematographers contribute greatly to the look of any film regardless of its production size. As photographers we’re probably quite good at composition and all of the skills we’ve learnt carry through to your films with the obvious caveat that the composition now features a moving scene. As cinematography is a career in its own right and people dedicate their lives to this role we aren’t going to do any kind of justice to this discipline in a couple of paragraphs. We can though learn a great deal just by watching the work of the great cinematographers. Great shots we see in an action movie can sit just as nicely in a documentary. The aesthetic of a film adds much to the viewer's experience so taking care to set up your shots will always bring dividends to the finished work. Easier said than done but finding new and interesting angles can add a little wow factor to please the audience and any opportunity to do that justifies the hard work to find them. In this section we’re going to take a look at a short documentary I made and see how I applied each of the components you’ve just read about above. I first saw Rob at a woodland festival where he was demonstrating his ancient craft. His unique tools feature a lathe powered only by the action of his leg on a treddle. I was immediately taken by his skills, especially as he was such a young man, to make such simple yet beautiful wooden bowls. During the day I spoke to him to ask if he’d be interested in making a film and we exchanged details planning to get in touch and work something out. It took a year before we were both available. We delayed the shoot until he had moved in to a small workshop where he makes his bowls to sell. Having this space to shoot in was ideal, although it was quite old, the walls were white-washed so the light inside was very good. During our first encounter at the festival I shot some footage for a little film I was making of the day. I’d seen him splitting the logs to make small ones that fit his lathe and I’d seen him turning them in to bowls so I had a good idea what to expect when I started to make the documentary. That though wasn’t the whole story for me. I was really interested in why this young man was making these bowls, how he got in to it and how he runs his small business. This gave me the depth to my story, with his voiceover telling the audience about his craft whilst they watch him make a bowl from start to finish. On the day of the shoot I arrived early so we could have a chat about his work, this was my research stage. I already knew about his working process, I only had to have a chat and find the interesting parts of his story. Sadly I didn’t record these early discussions so had to rely on a recording session after we finished filming. Key elements to the film were to see his workshop, how he shapes the wooden ‘blank’, fitting the blank in to the lathe, working the lathe and finally how he finishes the bowl with handtools. The branding was an extra process I didn’t know about until the day so I ensured we got plenty of that footage as I thought it provided a great ending to the whole bowl-making process. I used a 20mm lens for the wide shots showing Rob at the lathe in his workshop, a 50mm for the closer shots of him, the lathe and the bowl being cut and for the shots of the leather strap winding back and forth around the lathe I fitted an extension tube to the 50mm lens to get the camera really close in. My camera was a Canon 5D mark 3. Where I needed to record sound through the camera I used a Rode Video Mic Pro. I was very keen to capture the sound of the sizzle as the brand burns in to the wood so we spent some time capturing that. I used a Zoom H4N for sound and interview recording fitted with the Rode mic. I didn't need any additional lights as I used the lighting in the workshop. I took a white balance reading and set the camera to use custom white balance. In my experience trying to adjust the white balance in editing just reduces image quality. Remember to reset WB when moving to a different light source. I used a 1/50th shutter and mostly ISO640, all recorded in full HD. It only took us a day to put this together with a weekend spent editing. I was very pleased with how this turned out and even happier after it won an award at a local film festival. In the great tradition of ‘articles’ lets recap by briefly going over what you’ve just read about. Making our first films are the stepping stones to our filmmaking experience. Once we’ve learnt the technical details there’s no better way to become proficient at something than by actually doing it. Making a film is not like building a piece of flat pack furniture though. There’s no printed instruction sheet, each project is different so only experience can give us the real knowledge we need. After finding something interesting to make a film about, taking a structured approach to our production ensures we cover all of the bases and finish up with the film we imagined to start with. Disclaimer: All the advice in this article is informational only, offered as is and comes with no guarantee or warranty whatsoever.